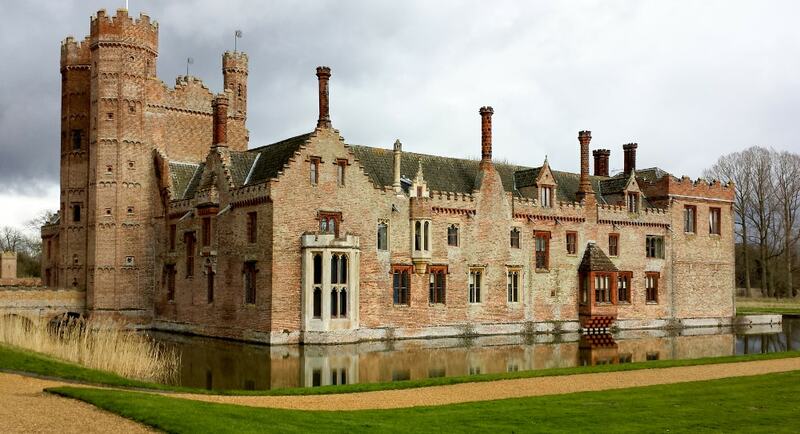 Oxburgh Hall is a moated country house built around 1482 by Sir Edmund Bedingfeld. Oxburgh has always been a family home, not a fortress. The manor of Oxborough came to the Bedingfeld family by marriage before 1446, and the house has been continuously inhabited by them since their construction of it in 1482, the date of Edward Bedingfeld's licence to crenellate.